Getting ready for 2017 fishing season Veterans will now get up to 40% off ocean charters Tues-Thursday, and 15% off all other days. Just our way of thanking all of you for your service. This past weekend recreational anglers were gifted a calm and pleasant ocean to go bottomfish fishing. 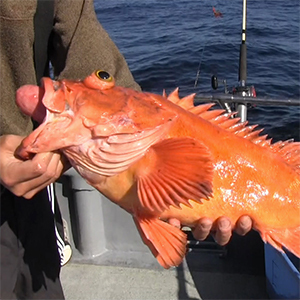 For those who took advantage of the brief break in the weather, there was some success for rockfish and limits of lingcod.